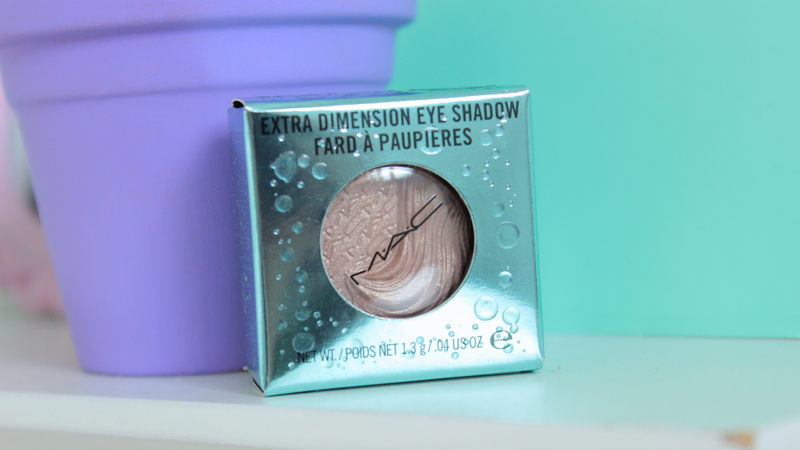 Hey loves, I am so excited to finally be posting about this eyeshadow because I have had it forever just like the rest of the Alluring Aquatic collection and I finally got around to taking photos and swatches of this beauty. 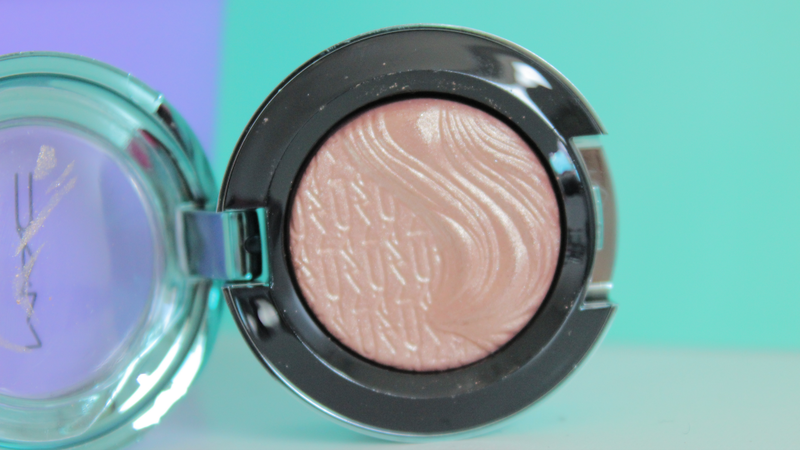 Out of all of the shadows that came out with this collection, this was the only one that really caught my eye, because we all know I am such a sucker for natural cream/champaign colors and this eyeshadow was perfect. Lorelei is a beautiful light champaign/tan color. 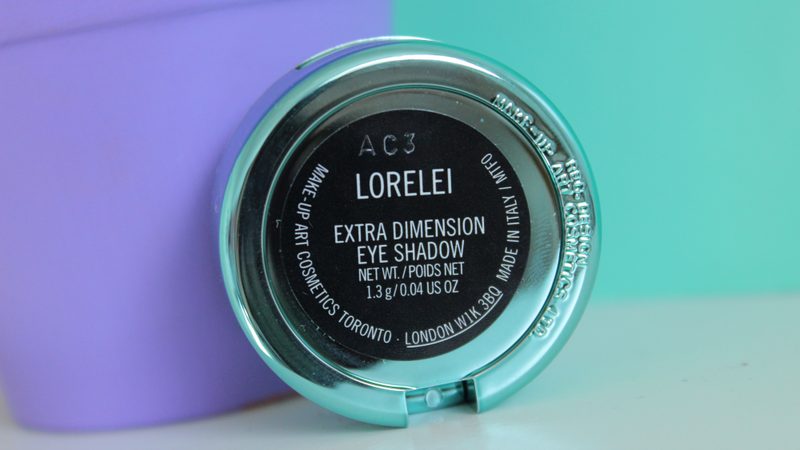 It is a extra dimension eyeshadow which this is my first time owning a shadow like this and I was super impressed with the texture. Just like the blush it just applies so smooth and is super easy to blend. 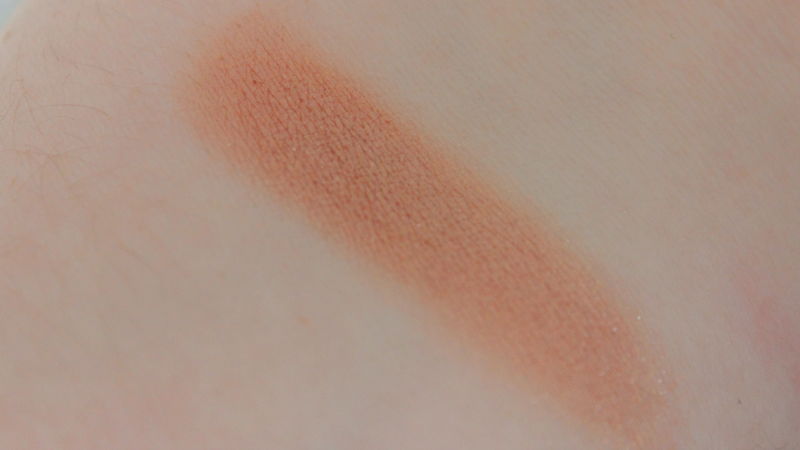 It is not powdery at all and the color has great pigmentation. Since I love the formula so much, I wish I would have gotten a couple more shadows because the quality is honestly the best. I have never loved a eyeshadow so much in my life. 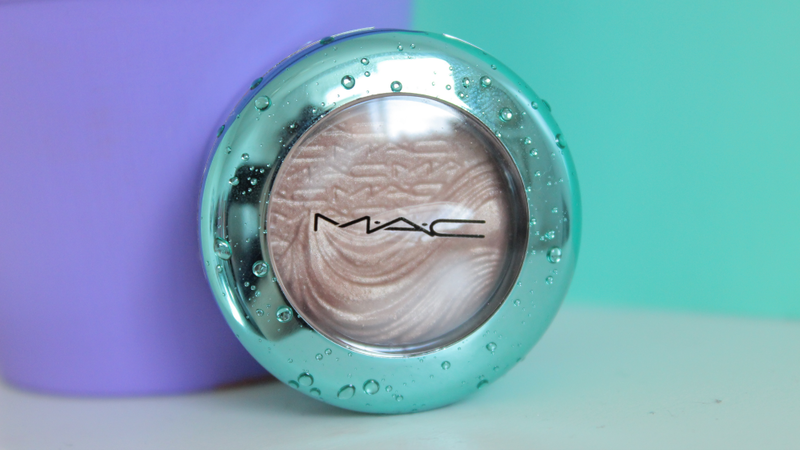 Also just like the lipstick and the blush it has that beautiful teal packaging with the 3D water droplets. Whenever my family comes over I always have to bring out this collection so they can all feel the droplets. This collection by far is my favorite MAC Collection to date. What did you guys end up purchasing from this collection? What an unexpectedly pretty peach shade! I love love the packaging in this collection and I'd love a blush!